Slavonski Brod is calm city in the eastern part of Croatia, right at Sava River and opposite Bosnia and Herzegovina. Traveling with a toddler, we cannot make the distance between Sibenik in Croatia and Sofia in Bulgaria in one day. So this time we stopped in Slavonski Brod and spend the night there. It was our first time here. Unlike many Croatian destinations, Slavonski Brod is not a touristic place, neither it pretends or needs to be. There is a little to see, but maybe it is what you’re looking for. The prices are way lower compared to the tourist places in Dalmatia or Istria. For instance, a cheese croissant costs HRK 3.5 (EUR 0.5) in Slavonski Brod and HRK 7 (EUR 1) in Split or Rovinj. The city seems like a nice place to raise children. Little traffic, many green zones and a children’s festival in April. Here is how we spent half a day in Slavonski Brod. 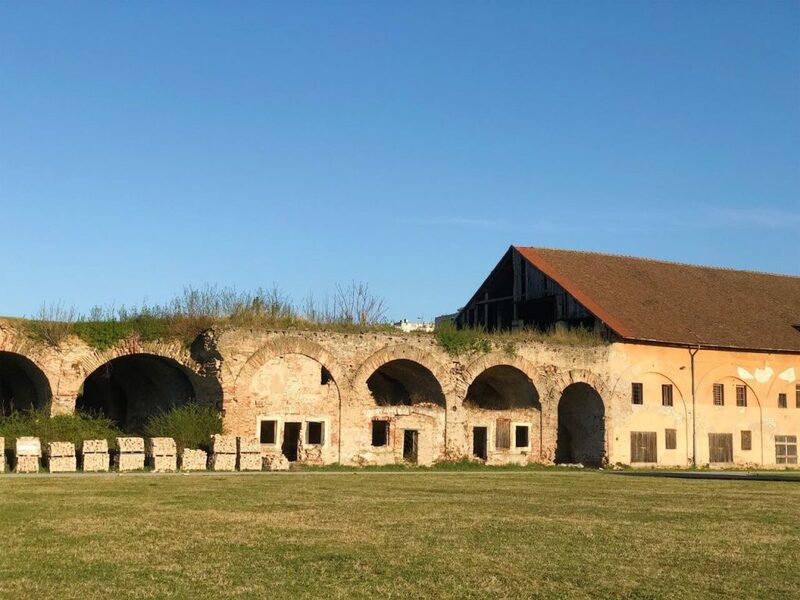 The main attraction in Slavonski Brod is the baroque Brod fortress, so we visited this one first. 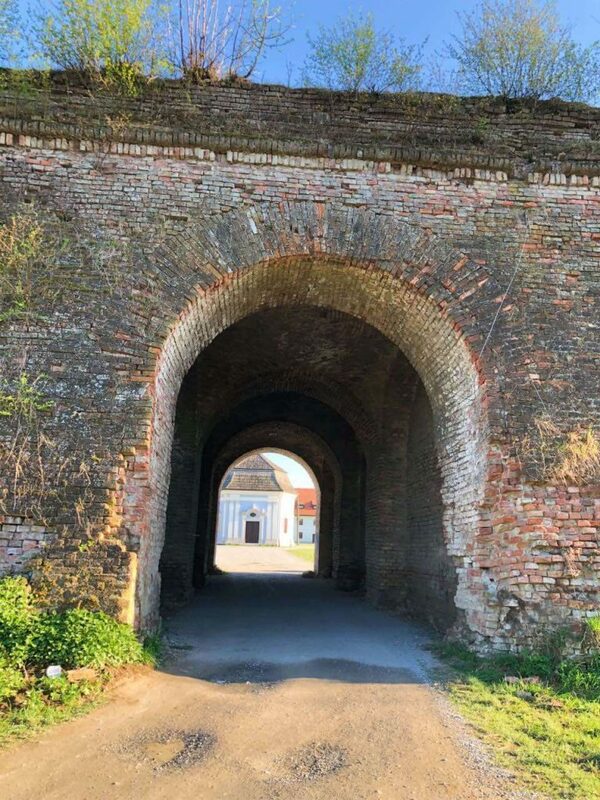 Constructed by the Archduchy of Austria between 1715 and 1780, its purpose was to defend the region from the Ottoman Empire. This is the largest construction of that type in Croatia. Today, there is no entrance fee and everyone can take a walk around this historic site. Unfortunately, big part of the fortress looks abandoned. I talked to a Croatian woman that comes here often and she said this is her favorite place for walks in the city. It is a calm place, but nothing special. 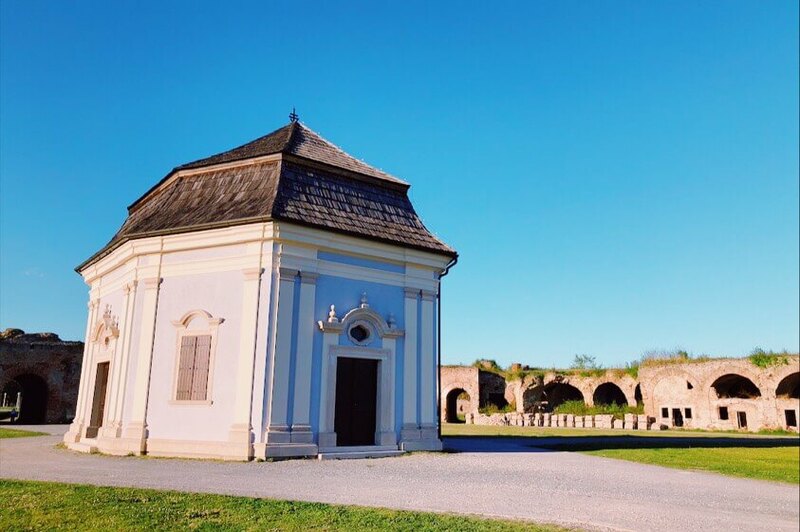 Now, if you are very much into 18th century Austrian fortresses, do check it out. Other than that, it is not worth stopping by due to its condition. Can you see the face on the wall? 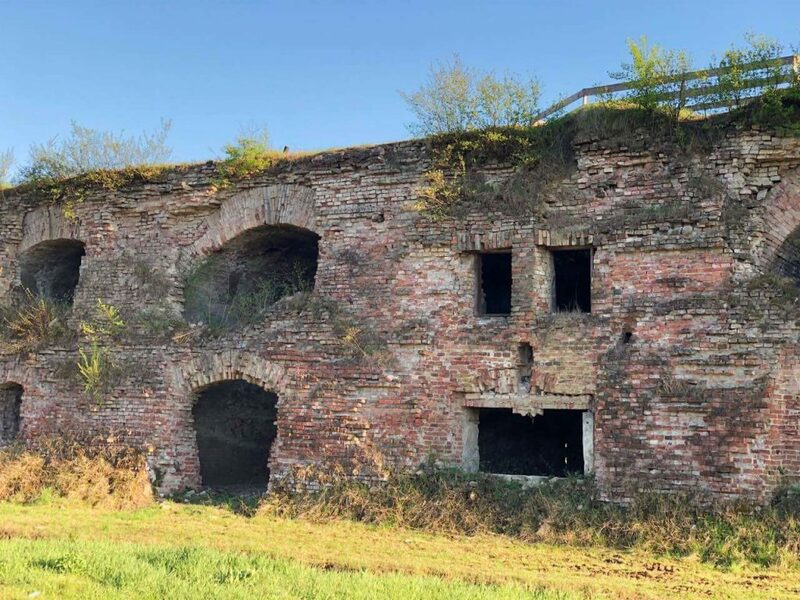 I am sure that with the right project and investment to revive its glory, the Brod fortress will look far more interesting and entertaining. Very close to the Brod fortress, you’ll find yourselves at the city center. The main square is a lively place, probably the liveliest around, with several cafeterias. It is named after a popular local female writer. Ivana Brlić-Mažuranić is a beloved author, famous for being the best Croatian writer for children. 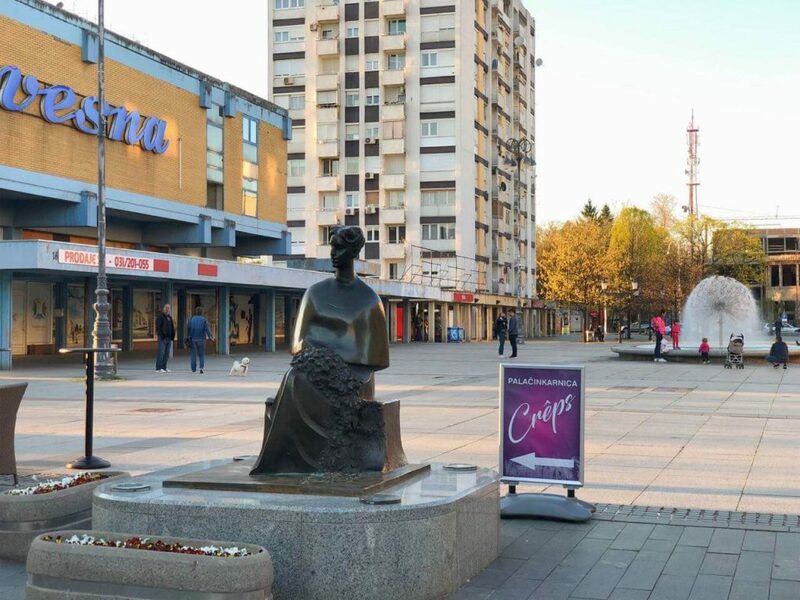 The city also hosts an annual children’s festival In the World of the Fairy Tales of Ivana Brlić-Mažuranić, which started two days after we left the city. In 2019 it takes place between 7 and 14 April. Would love to come check it out with Anna when she is old enough. The square ends at the Sava River. It is always nice to have a river around, right? 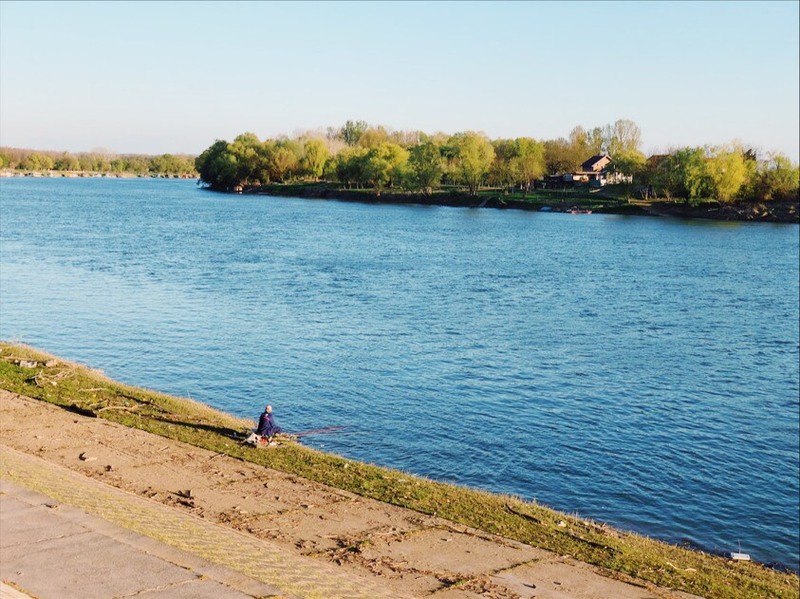 The Sava River makes the landscape way nicer in Slavonski Brod. We took a nice walk on its banks and saw the other attraction of the city – a Franciscan monastery. Same as the fortress, this baroque monastery was built in the 18th century. Bosnia and Herzegovina is at the other side of the river, so don’t miss to take a look! 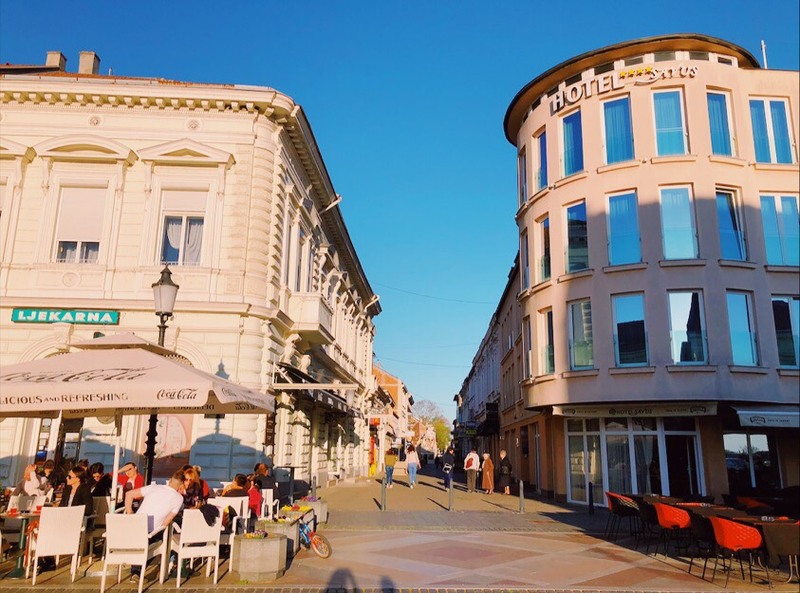 Since Slavonski Brod is not about the tourism, there aren’t that many hotels. Trying to find the right accommodation for my family on Booking.com, I booked an apartment close to the city center, as I found it more appropriate than the available hotel options. Slavonski Brod is very close to the E70 European road. The closest airports are in Osijek (108 km or 67 mi) and Zagreb (186 km or 115 mi). Hope this was helpful! 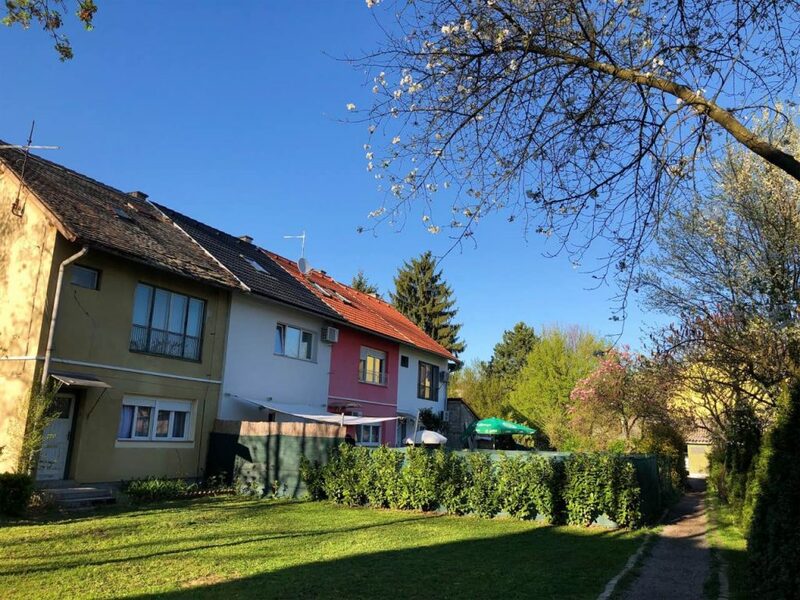 Check out the current events in Slavonski Brod on the city’s website. Heading to Croatia? Check out my section dedicated to this amazing country!